We’ve pretty much all been there. Whether it’s a series of unfortunate events or one catastrophic moment out of the blue, it’s startling how quickly your life can be turned completely upside down. But maybe there’s a way to turn that topsy turvy existence into something rosier, a more permanent fix than just turning a frown upside down. Enter Sian Armstrong, who’s on a mission to find that elusive magic wand. 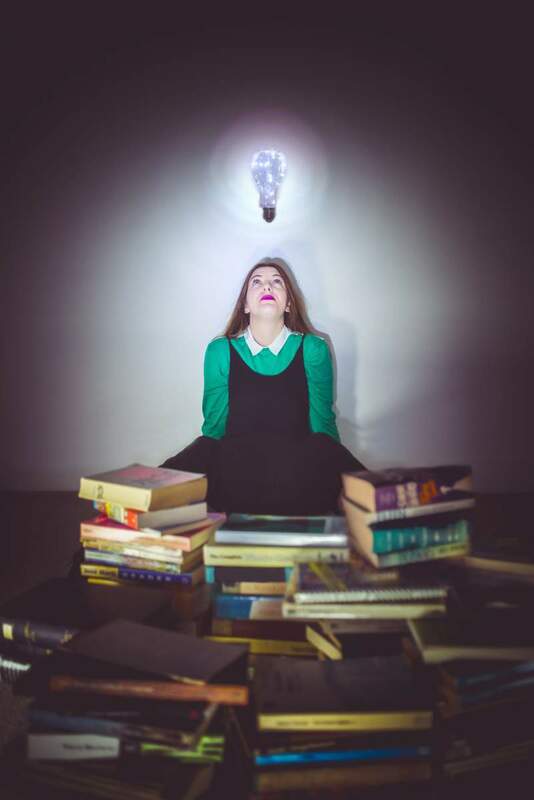 In her new show Stupid, which is performed at Arts Centre Washington on Thursday 2nd and Newcastle’s Alphabetti Theatre on Tuesday 28th November, Sian’s looking to piece a life back together – in a manner of speaking. It’s all about perspective. Taking a step back to look at the world as it really is, hovering somewhere in the grey area between harsh reality and fantastical escapism, there could well be answers. Into the mix she’s set to throw a good dose of humour (because in times like this, sometimes all you can do is laugh), vibrant projection and even some live drawing. Questions will be asked, light bulb moments will be had and answers found. The solutions might not fix the wider state of the world, but they might at least patch up the cracks in Stupid’s universe and leave the audience feeling uplifted at the same time.